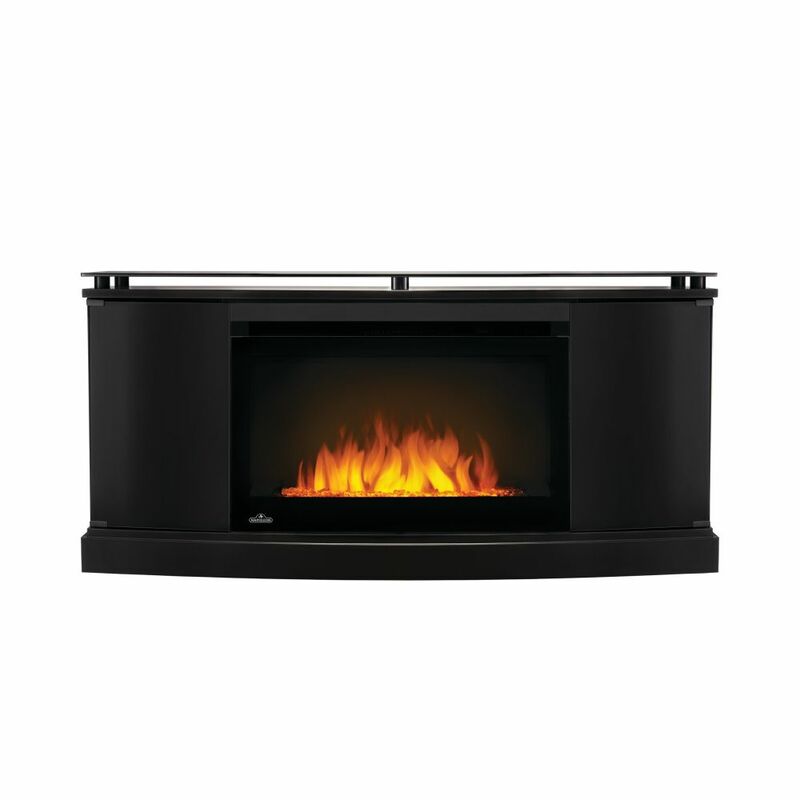 The Anya Electric Fireplace Entertainment Package by Napoleon is stylishly modern, complete with a black glossy finish and a clean lined silhouette. Specifically built for the Cinema Glass 27 Electric Fireplace. This contemporary entertainment unit features a smoked glass top and doors as well as an electronic media compartment with wire management system that complements the sparkling glass ember bed. Ideal for all of your entertainment needs, add warmth and class to any space without the need of a renovation. Just unbox, plug in, and play. Anya Electric Fireplace TV Stand with Storage and 27-inch Firebox The Anya Electric Fireplace Entertainment Package by Napoleon is stylishly modern, complete with a black glossy finish and a clean lined silhouette. Specifically built for the Cinema Glass 27 Electric Fireplace. This contemporary entertainment unit features a smoked glass top and doors as well as an electronic media compartment with wire management system that complements the sparkling glass ember bed. Ideal for all of your entertainment needs, add warmth and class to any space without the need of a renovation. Just unbox, plug in, and play.